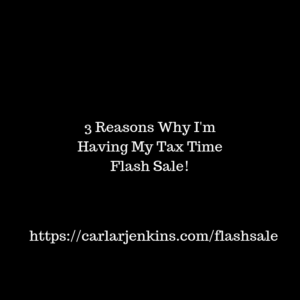 If haven’t heard yet, I am throwing my tax time flash sale! Here are 3 reasons why I am. I have received many new followers across all of my social media channels. Also I want to reconnect with my longtime community members and throwing a flash sale is right up my alley! Value, gratitude and appreciation are part of my brand’s DNA. What better way to infuse this than a flash sale? This provides me with an opportunity to show my appreciation to everyone by offering them 50% off my entire store using code FLASH. The flash sale is from now until Monday, April 15, 2019. All sales final. No refunds on digital merchandise.